Carlisle City Hostel is Carlisle's only independent hostel. Located on picturesque Abbey Street, the building is an old Georgian terrace that can accommodate up to 20 guests. There is a communal kitchen for you to prepare your own meals, communal lounge with TV, DVDs and book swap and a dining room. Free tea, coffee and WiFi is available in communal areas. All prices include a basic breakfast. Secure bicycle and luggage storage is located in the large cellar. Come and explore this wonderful city and its surrounds. 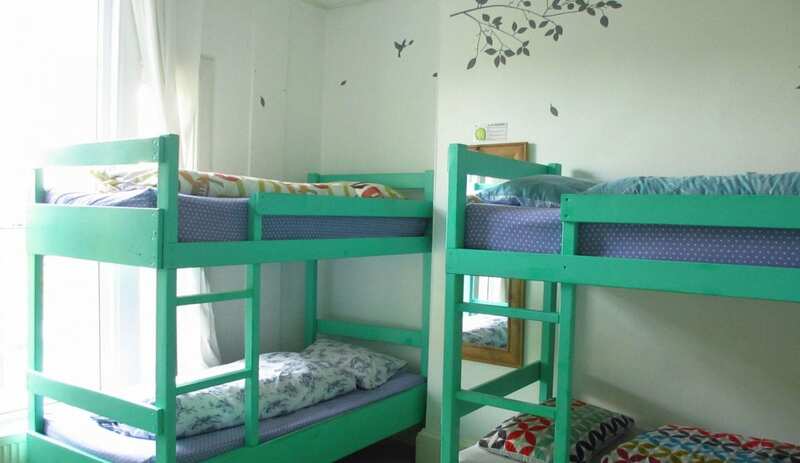 The staff look forward to welcoming you as their guest in their hostel and their city. On street parking is free from 6.30pm-8.30am during the week and all day Sunday. Nearest carpark: Devonshire Walk. This accommodation is featured on our map of the Lake District and here is its own website. All year. Check in between 3pm- 8pm ONLY (Sunday 4pm-8pm). £18 to £26 pp. Groups of over 8 by pre-arrangement only. By website with first night deposit. Cash only on arrival. Check before booking if you wish to arrive outside of check in times. Deposits are non-refundable. From city centre: English Street bears left onto Castle Street, past cathedral. Left onto Paternoster Row which becomes Abbey Street. From M6 Jnc 43: follow signs for city centre. At Nando's traffic lights follow the road left. Get in the right hand lane and take a right through the old city walls. Turn left onto Victoria Viaduct then 2nd right -W Walls this becomes Annetwell Street. Turn right onto Castle Street. Take the first right onto Paternoster Row which becomes Abbey Street. Carlisle City Hostel is located in the city centre of Carlisle. Bus station and train station are 5 minutes' walk from the front door of the hostel. This accommodation is available to individuals, has a pub within walking distance and is on the or near to the Settle to Carlisle railway, the Land's End to John O' Groats Cycle Route, the Cumbria Way and the City, Backpacker and Boutique Hostels map. Stay in the aesthetic of the street on which the hostel sits is a row of pastel shaded Georgian terraces opposite the formal garden of Tullie House museum and art gallery. There is a trend among city hostels towards a sort of ‘industrial-dystopia-made-pleasant’ styling. With added skinny lattes. You know what I mean: chrome, exposed pipes, huge office-block style windows, a scattering of graffiti art. I will admit that in some environments this looks cool and futuristic. And in the livelier quarters of clubs and bands and with asymmetric haircuts it fits in perfectly. But here at Carlisle City Hostel a different aesthetic lives. For a start, the street on which the hostel sits is a row of pastel shaded Georgian terraces opposite the formal garden of Tullie House museum and art gallery. On their social media feed, there is charming footage of the cherry blossoms falling like rain on to the cobbled road. 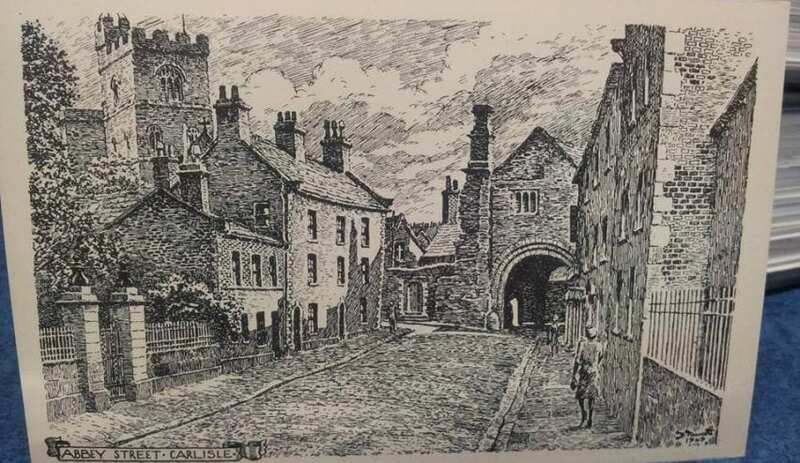 At the far end, the road ducks beneath the an archway in the old city walls made of the striking red sandstone that characterises the big civic buildings. See! A swish glass tower wouldn’t fit in would it? Inside, the elegant lightness of touch continues. Yes, there’s a communal kitchen and secure storage for bikes and luggage – so far so functional. But take a look at the gallery of pictures on their website, surely you must warm to that airy, welcoming decor? Carlisle City Hostel seems to be a lovely place to be based to explore the area. The city itself is small and compact, full of history and charm. Nearby are Hadrian’s Wall, The Lake District, the coast at Solway. And then afterwards you return to the warm arms of this Georgian gem. Carlisle City Hostel has a unqiue location on historic Abbey Street. Not long now till the blossom is out. Why not book your stay at Carlise City Hostels while there is still plenty of availability for April and May. The hostel has a unqiue location on historic Abbey Street at the heart of the town. 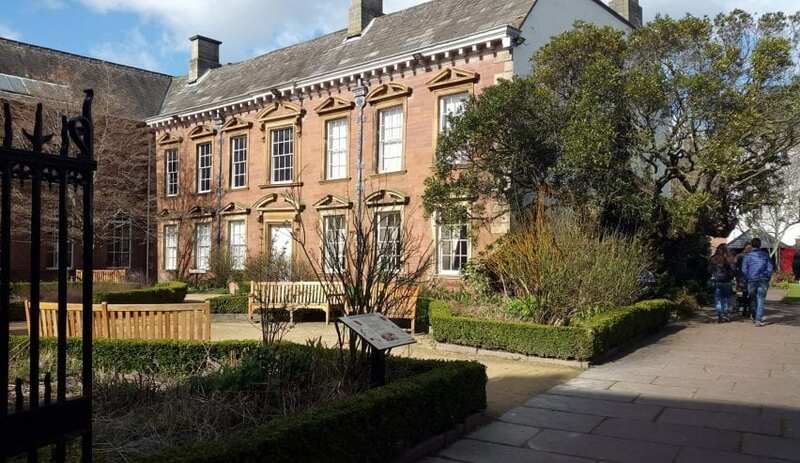 Just a few minutes walk from Carlisle’s historic sights (Carlisle Castle and museum), the high steet shops and restaurants. A handy location for trips to the Lake District, Hadrian’s Wall and a good stop off overnight on the way to Scotland. Jusst a few minutes drive from the M6 motorway, with parking nearby and only 5 minutes walk from the train and bus station. Visit this historic border town to really understand the history of England and Scotland. Book Direct for the best prices in Carlisle’s only independent hostel. 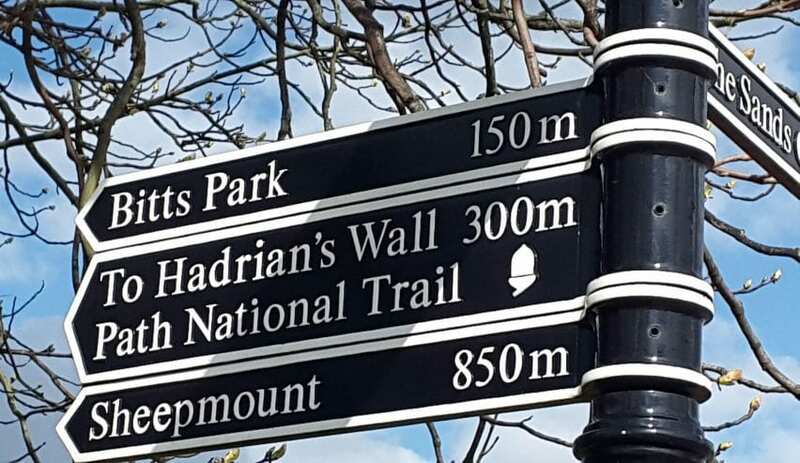 This historic border town is an essential visit for anyone interested in the Roman Frontier and subsequent relations between England and Scotland!